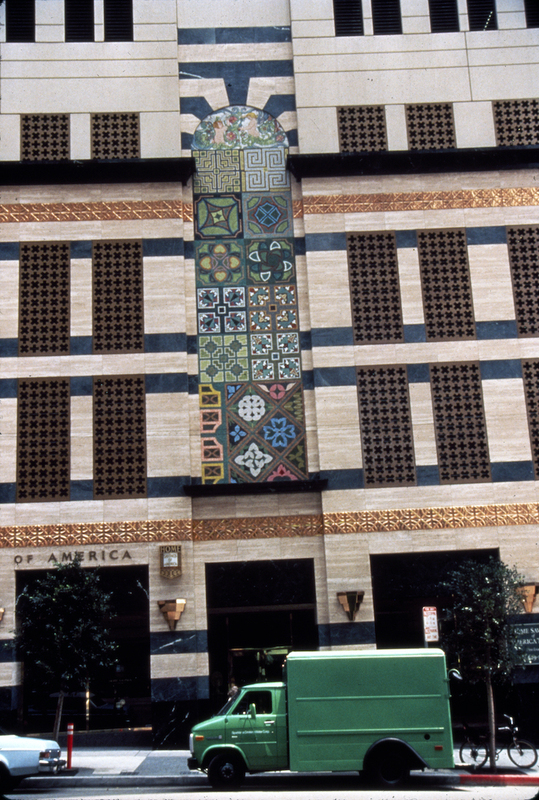 Mosaics adorn buildings and communities throughout the world. Share your favorites with #MosaicMadness! Mosaics—colorful stones, ceramics, or glass pieced into mortar to make designs—are an ancient craft dating back over 4,000 years. They became a sophisticated art form in antiquity, when designs fashioned from precisely cut tesserae were used to decorate private and public buildings. Stunning examples of Roman mosaic floors are featured in the current exhibition Roman Mosaics Across the Empire at the Getty Villa. Mosaics have their roots in antiquity, but they are far from dead! 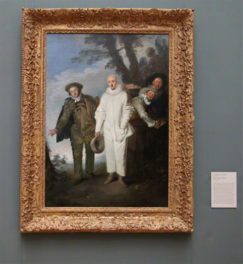 They are a thriving art form, still practiced by artists today. 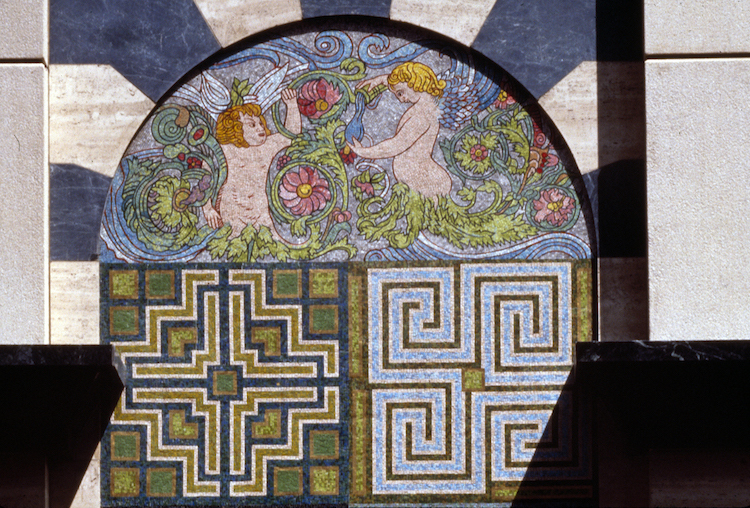 In conjunction with the Roman mosaics exhibition, we’re on the hunt for the oft-overlooked mosaics that adorn our communities—and are asking you to join us for #MosaicMadness through September. Spot a mosaic or know where a wonderful one is to be found? Share them with us and other art lovers with the hashtag #MosaicMadness on Twitter or Instagram. 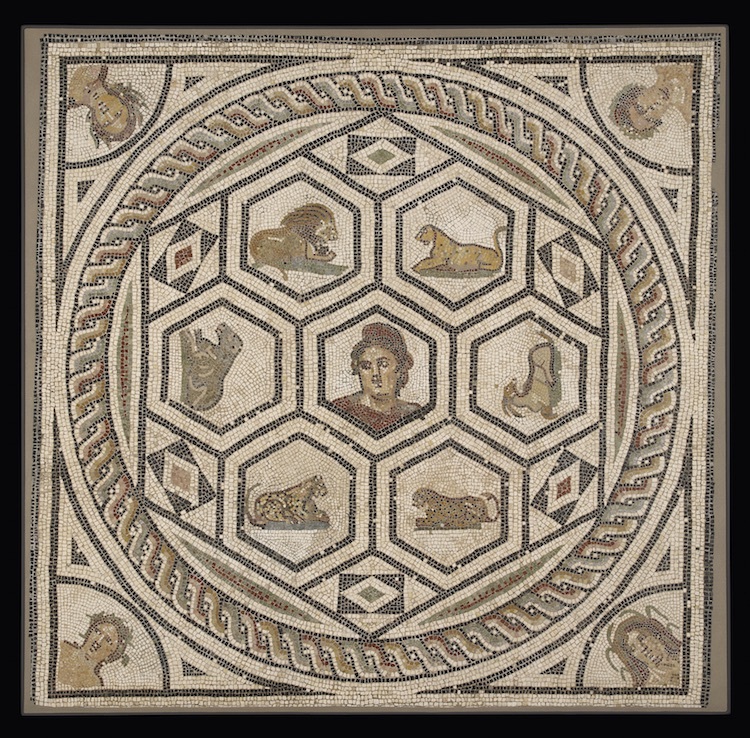 We’ll feature your snapshots on our Getty Museum accounts, collectively creating a gallery of mosaics large and small. The idea for #MosaicMadness struck me the other day as I drove past the Beverly Hills library and civic center and noticed a lovely mosaic above the parking entrance. This mosaic, El Camino Real, was created by Millard Owen Sheets, a prolific California artist and architect who designed mosaics and murals for Southern California civic buildings, several of which are explored in the video below. In 2013 El Camino Real was designated as Beverly Hills’ 15th historic landmark. 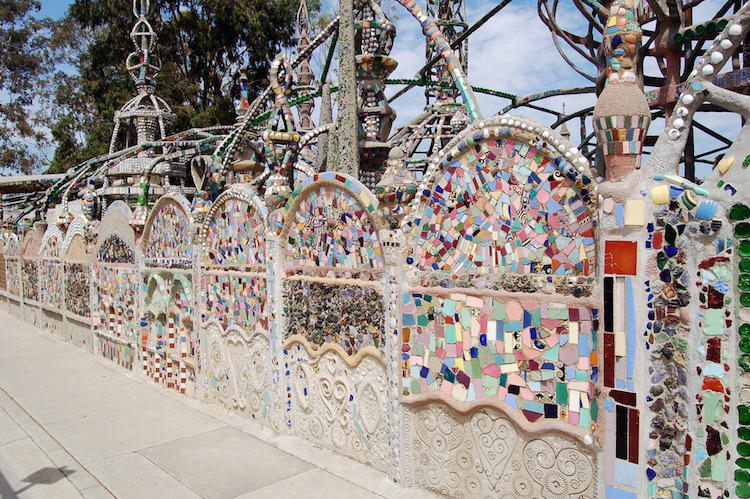 In addition to mosaics adorning public buildings, in L.A. we’re lucky to have a walk-in mosaic sculpture in the form of Simon Rodia’s famed Watts Towers (which every Angeleno should visit!). Not sure where to find mosaics? If you’re in L.A., check out Public Art in Public Spaces, which hosts a comprehensive list of public art works in the L.A. area. (While you’re at it, check out Piece by Piece, an organization providing free mosaic art workshops. Many of their mosaics are featured in pop-up installations, so keep an eye out.) Another good resource is at this interactive map that lists over 40 public artworks in L.A.
Just one example of the great civic mosaics to be found in the L.A. area are the ceramic mosaics in the Long Beach Airport created by Grace Clements in 1941 as part of the WPA (Works Progress Administration) program. 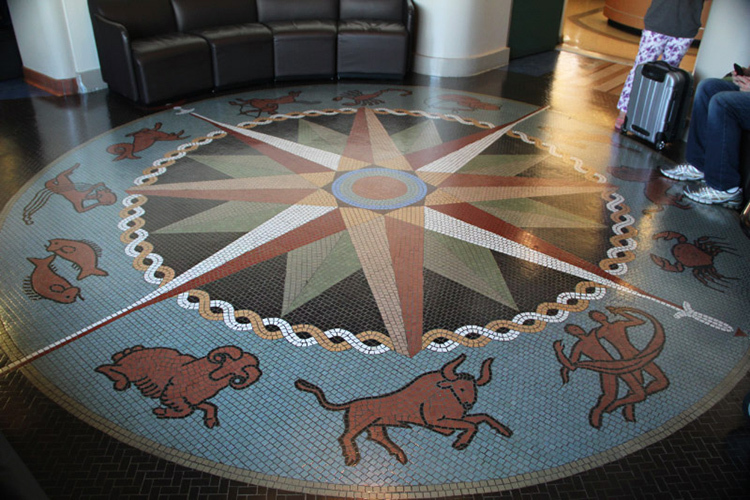 These mosaics—depicting Long Beach’s dominant industries, such as oil, aviation, and shipping, as well as landscape scenes—were hidden under carpeting for years, and only revealed in a 2012 renovation project. You can get a tour if you book in advance. Another of my favorites is Joyce Kozloff’s Gardens of Villandry and Gardens at Chenoncreaux on the Figueroa Tower downtown, which is visible from the sidewalk. Depicting two Renaissance gardens in France’s Loire Valley, the mosaic was made in Italy and installed in segments. 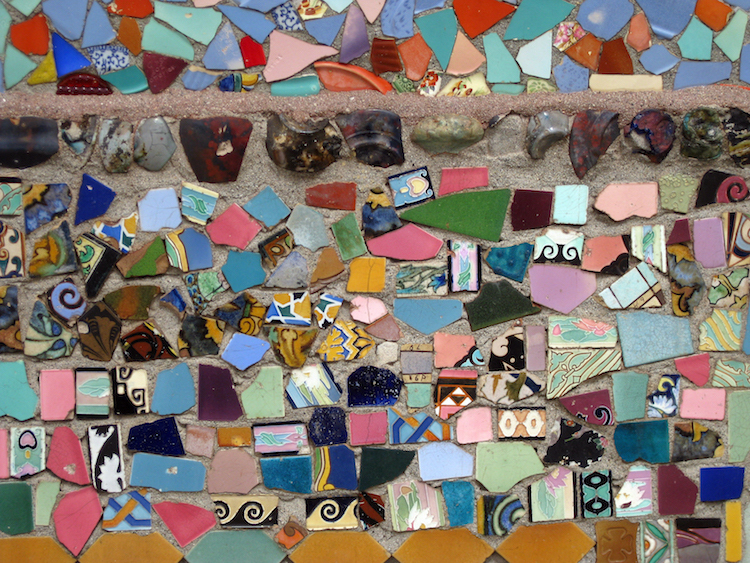 So go mad for mosaics and share your photos and new discoveries with us using the hashtag #MosaicMadness! I'm the social media manager for the J. Paul Getty Museum. Mosaics are part of every culture through the history. I´m a Visual Artist, my technic is called COLLAGE MOSAIK, its is made with paper magazine. Do you support or improve New Artist???? Liliana Patricia Loc, thank you for your positive feedback. 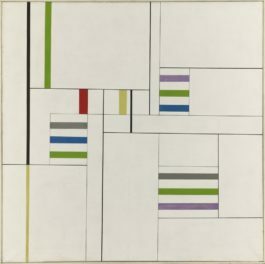 Unfortunately, this project does not support artists. Instead it’s a grassroots celebration of mosaics around the globe. Great post and great idea to spread the mosaic love with #MosaicMadness! I’ll be sharing the hashtag on my Mosaic Art Now Facebook Page and Instagram account. Can’t wait to see what international examples show up! Cheers! Nancie, wonderful thank you for your participation!